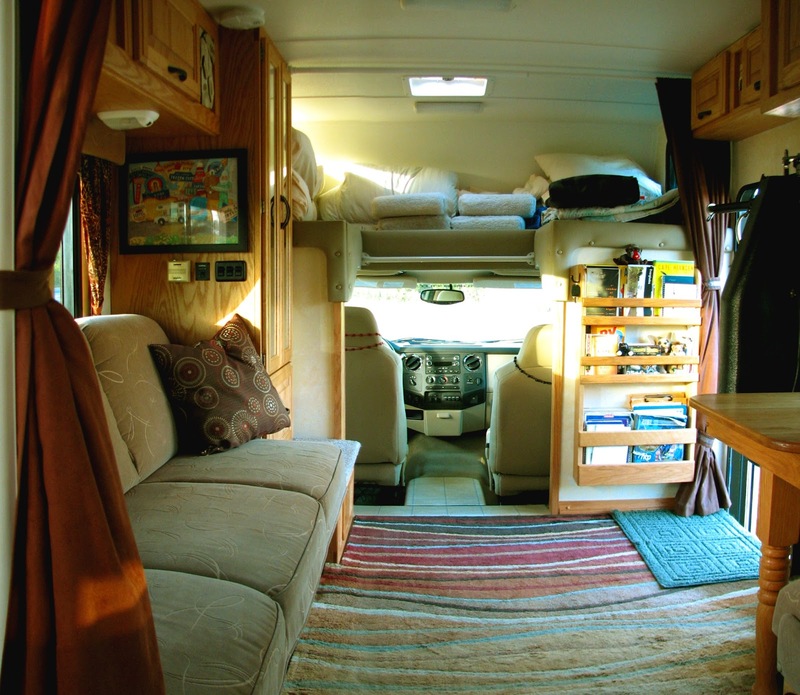 This is our current and 4th motorhome. Our first motorhome was also a small class C, built by the Scotty company in Pennsylvania. After my accident, in 1993, we could not use it so we had Scotty design and build a new one with some accessible modifications. That motorhome was involved in a rear end accident which resulted in it being totaled by the insurance company. Scotty built us another motorhome almost identical to the totaled one. We kept that one, number three, for 14 years and over 300,000 miles. We like to stay in public parks and visit all types of attractions including some that are in big cities. 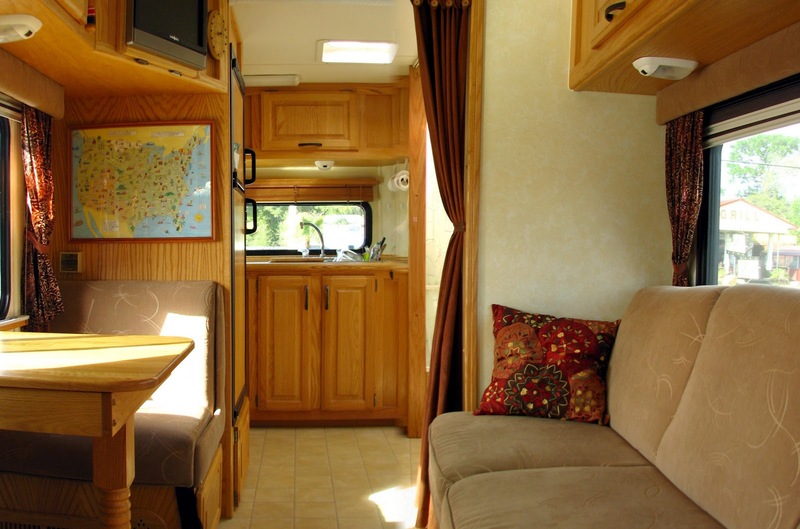 We also like to have the conveniences in our motorhome available wherever we are especially the accessible bathroom. Because of these factors we chose to have a small motorhome and we do not have a towed car. Sometimes this makes finding a parking spaces a little challenging but we usually don't have much of a problem. All of the posts note whether parking for RVs is available. 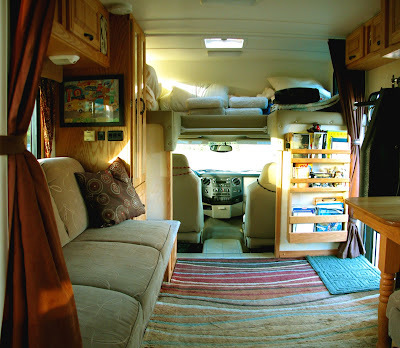 Our motorhome is only 25' long and doesn't have a bedroom. We fold down the sofa bed at night and use the cabover as a storage area for all of our bedding. The dinette has been cut down with a single seat on one side. The open space by the lift is where I pull my wheelchair up to the table. This is a Super Arm lift. It's capable of lifting 600lbs. It's fairly unobtrusive and leaves the entrance way opened so that other people can use the door. The bathroom area was built with the walls cut down to allow me access to the toilet and shower. When I use the shower the raised toilet seat is moved out of the way and I transfer to the closed toilet lid then onto the shower chair. There are two ways to close off the bathroom - a folding door or a curtain which closes off the entire kitchen/bathroom area to make a roomy dressing area.